OK, I’m VERY late to the party here. I’ve never read The Hunger Games before, or watched any of the films – or had any desire to! My younger son bought the trilogy with some birthday vouchers 18 months ago, but never read them. He hasn’t read much at all over the last couple of years. At his recent parents’ evening, most of the reports from teachers were glowing, but his English teacher said he needed to read more as it was very clear from the kids’ creative writing who reads and who doesn’t. He reluctantly started The Hunger Games. Three days later, he’d finished it, after staying awake until 11.30 on school nights reading it (not what I would recommend!). Another three days later and he’d read Catching Fire, the second in the series too. And he just kept telling me how brilliant they were and how I must read them. And I really didn’t want to read them. I thought I wouldn’t like them, because I know his taste in books is very different to mine – he likes fantasy books and I can’t bear them. But in the end I felt I was being unfair to him not to give them a chance. Last year, I read a book my eldest has insisted I read – One Flew Over the Cuckoo’s Nest. I really didn’t enjoy that either, but I read it because he wanted me to. It wasn’t what I expected at all. For starters, it wasn’t a fantasy novel. Yes, it was set in the future, yes, things were very different to the way they are in real life now, but it felt believable. Every year, each of the 12 Districts selects at random one boy and one girl to fight in The Hunger Games. It is a fight to the death and there can only be one winner. When Katniss Everdeen’s beloved 12 year old sister, Prim, is selected to represent District 12, one of the poorest districts in the Games, Katniss steps forward to take her place. Before she knows it, she is whisked away to be styled and trained ready for the Games. Peeta, the boy from District 12 seems nice, but she is scared to befriend him for fear they will have to kill each other and scared to trust him in case he betrays her. The Games aren’t a gladiator-style fight to the death, as I’d imagined, but a survival challenge. This really is a brilliant book – very well-written and a great story. I was hooked from start to finish. I can totally see why my son read it in three days. Now onto the next book…. And my son and I can watch the film now too! Oh, that’s not what I thought it was about at all having never read the book or seen the film. It sounds brilliant, I’m going to add it to my list of books to read when I have time! Oooh now then, I didn’t think this was going to be my cup of tea either but your post is quite compelling and luring me in to read. I may have to dip in… but I’ve got a ton of work to do first!! Good luck with the work! This is definitely worth a read! I’m sure you wouldn’t be disappointed. My son had to read it for an English Assignment and so I thought I would read the book and I was stunned as well. I was hooked right from the beginning. I enjoyed it for the fact that it wasn’t another book about teen romance but about family and wider society. Exactly! There’s so much to love about it. It really took me by surprise. It’s amazing how many people thought they would hate them, but loved them! I was totally hooked from the first few words. I’ve read all the books and watched the first two films so far. The films weren’t quite as good as the books, but they were pretty good! 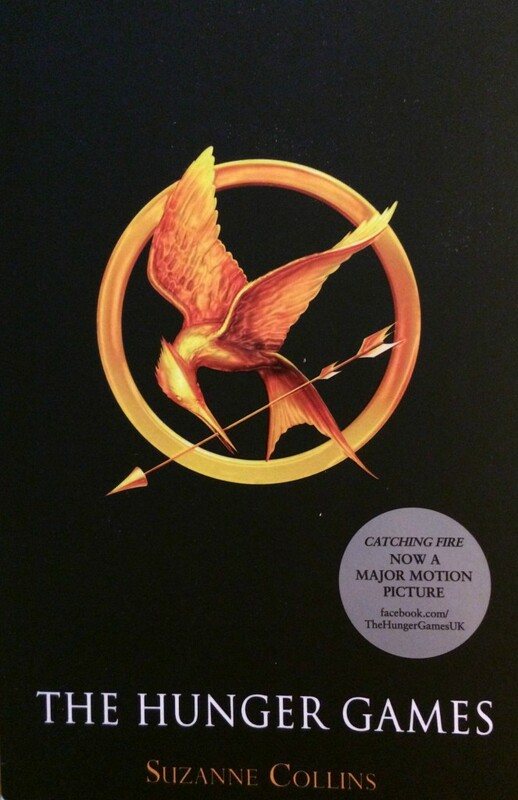 I have never been tempted to read The Hunger Games but I’m intrigued to read it now that I have read your review!! Thanks! I really can’t recommend it highly enough. It was completely not what I was expecting. It really is superior fiction. The films are good, but the books are better! There’s a lot more detail and suspense in them. They’re well worth a read. Funnily enough, the second book was my least favourite! I think the first book just beats the others. I’m Team Peeta too. I definitely imagined him better looking than he was in the film! I’ve read these books countless times and still absolutely adore them! I can completely understand why you would read them countless times! They are so well-written and so exciting. Popped over form #readwithme linky – I loved the first novel but honestly wished I hadn’t bothered with the rest! The last in particular I felt was terrible! So I shall look forward to seeing what you think about the way the story progresses! Enjoy the films! That’s interesting to hear! I enjoyed all of them, but I thought the second one was too far-fetched in places. I’ve enjoyed the first two films so far!